On 10 January 2017, the Danish Armed Forces will have a new chief as Lieutenant General Bjørn Bisserup succeeds General Peter Bartram as Chief of Defence. Meanwhile, a new Minister of Defence has been appointed at a time where the future of the Danish Defence is to be decided. In 2017 the Danish Parliament is expected to reach a new political agreement regarding the Danish Defence budgets for the coming years. 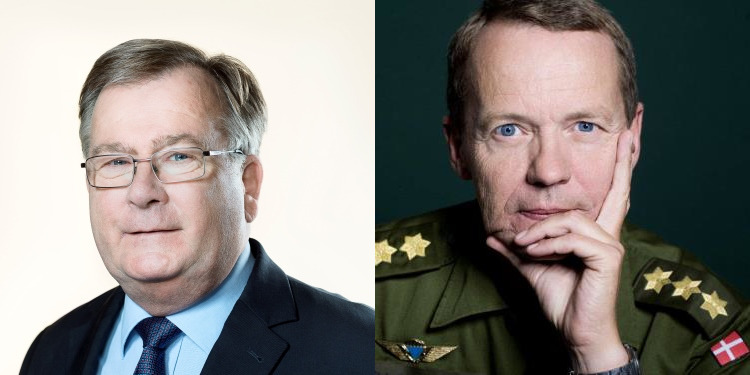 Appointing the experienced Bjørn Bisserup as the new Chief of Defence and political heavyweight Claus Hjort Frederiksen as the new Minister of Defence is considered “playing the safe hand”, says the Chairman of the Danish Central Association of Permanent Defence Personnel (CS), Jesper K. Hansen. “Bjørn Bisserup has held key positions in the Danish Defence through a turbulent period of structural changes and budget cuts. He is a very experienced man with great knowledge of the political processes both in the Defence Staff and the Ministry of Defence” says Jesper K. Hansen. He hopes that the new Chief of Defence will continue the constructive dialog which he has already practiced with the soldiers’ unions. “I encourage the new Chief of Defence to continue the dialogue we have had. The Danish armed forces are facing many unsolved issues and we have been through turbulent years while the tasks assigned to us by the politicians become more complex and demanding. Solving all this requires cooperation between the unions and defence leadership” Jesper K. Hansen emphasizes. The ministerial reshuffle came as a surprise in Denmark, as the previous Minister of Defence, Peter Christensen, was widely recognized as a good and well-liked Minister. The new Minister of Defence is also a very experienced politician, who has just served his second term as Minister of Finance. In this function, he proved to be a tough negotiator. “The coming political negotiations regarding the defence are very important, so I will have a lot of work ahead.” Claus Hjort Frederiksen said as he was officially appointed Minister of Defence on November 28th 2016. CS Chairman Jesper K. Hansen has already had his first meeting with the new Minister of Defence: “The Danish Defence needs to be strengthened urgently to meet the many challenges ahead. I am certain, that Claus Hjort Frederiksen can be a strong and noticeable Minister because of his great experience in politics and his close connection with the inner circles of the Danish Government”, says Jesper K. Hansen. The political negotiations regarding the Defence budgets for the coming years are expected to begin in early summer 2017. For more information please contact CS. Text by Kenneth Skov Jensen (CS) and pictures by Steen Brogard and Sara Skytte.